Well, Caroll, I think I have one for you! 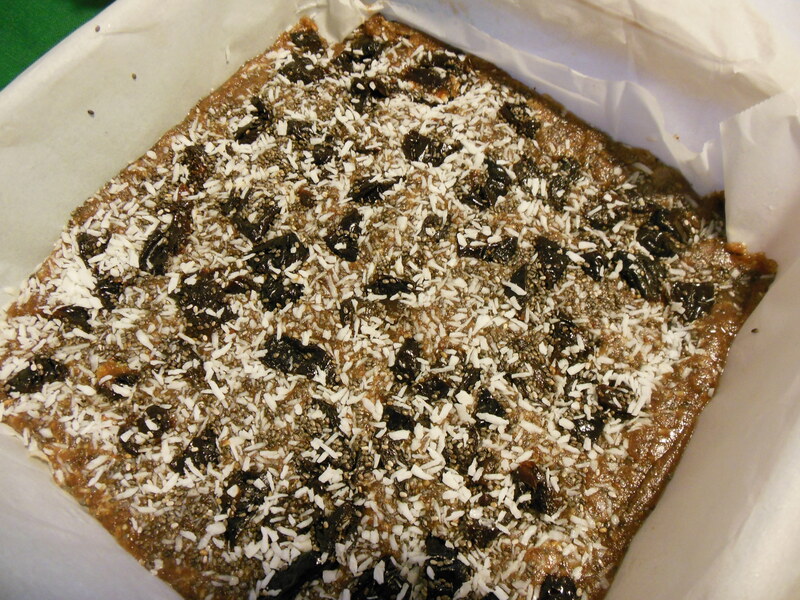 Here is a delicious, nutrient dense energy bar. It’s going to be very versatile because you can switch the ingredients to keep things interesting! They are a snap to make and are filled with nuts, seeds, healthy fruit, fiber, protein and natural fats. Along with a cup of hot tea or coffee, they will make you a perfect grab and go breakfast. I might suggest you even pair it with a nice tart, crunchy apple or a tangerine or orange which are also packed with healthy vitamins and fiber! 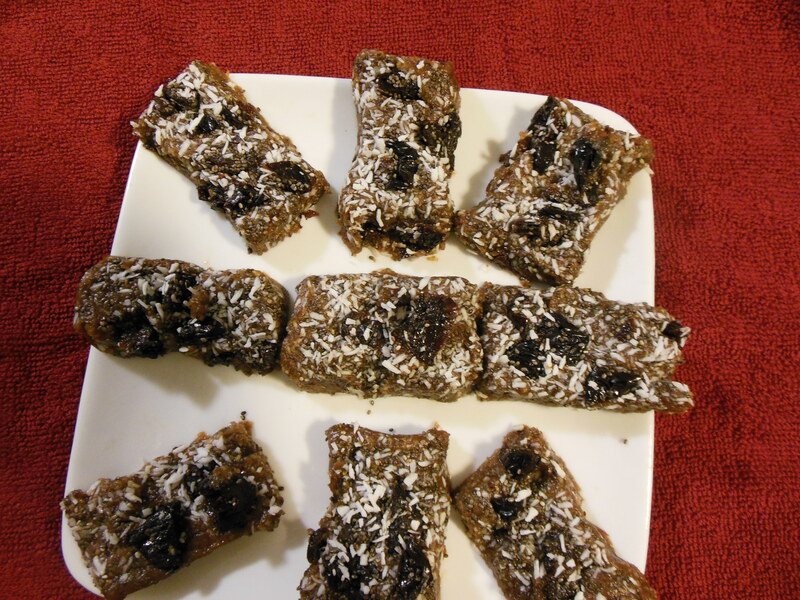 One of these power bars will help you feel fuller longer because they are a concentrated energy source with a low glycemic index that will prevent any major jags in your blood sugar levels keeping your energy stable. You will feel fuller longer. 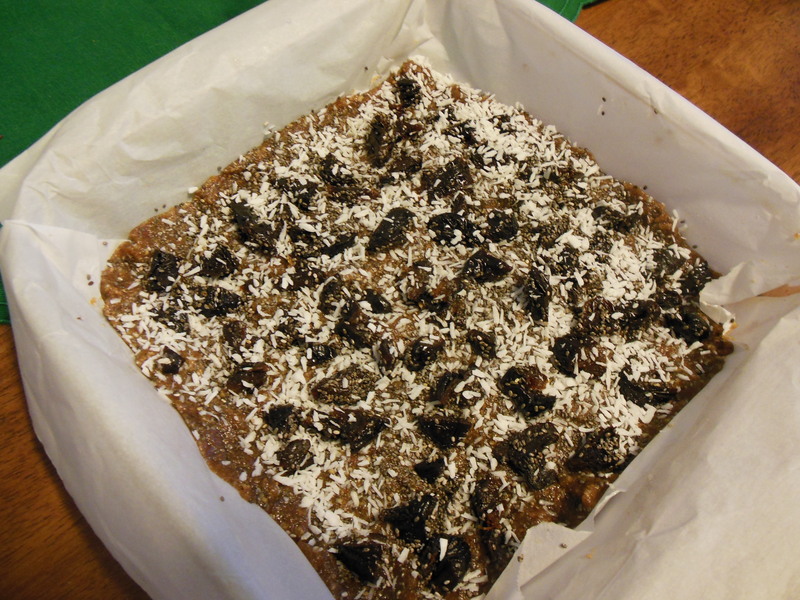 Take an 8” x 8” or 9” X 9” pan and place a piece of parchment or wax paper into the bottom of the pan. 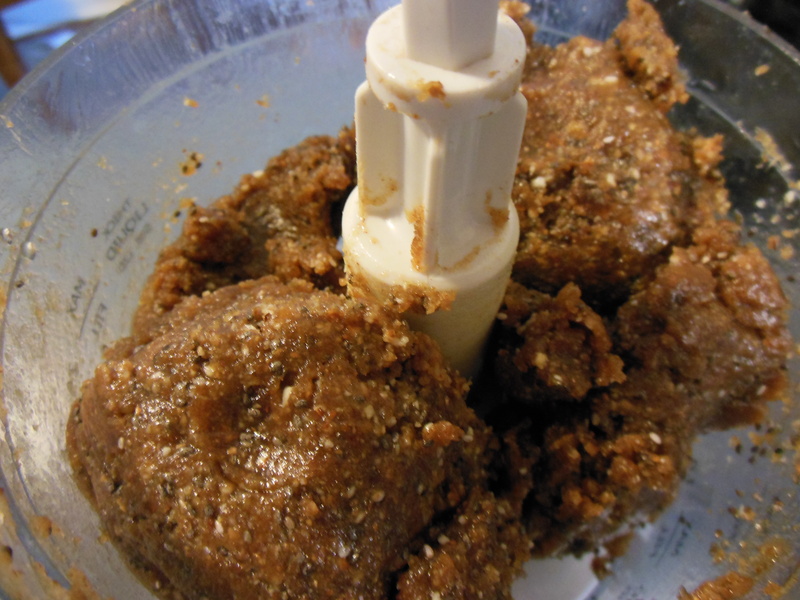 Next, in a food processor place nuts and blend for about 30 seconds or until nuts are fairly well ground. 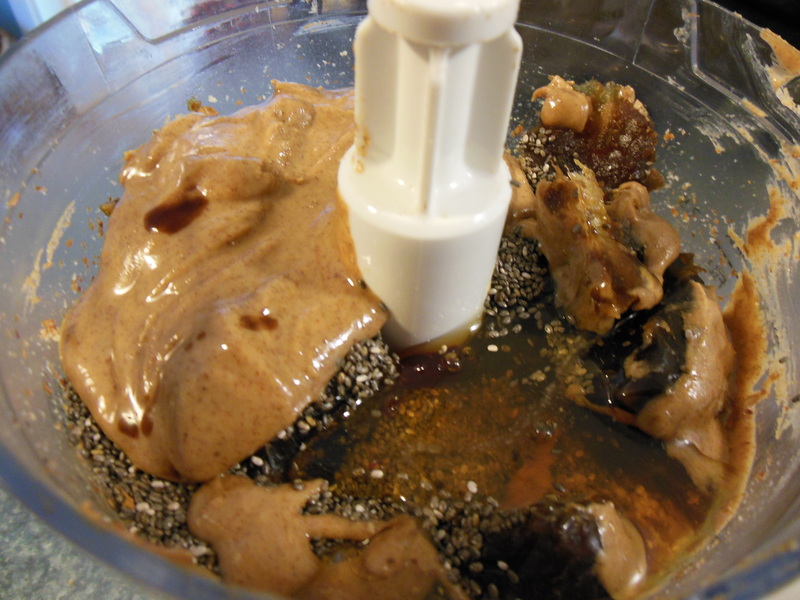 Add drained dates, nut butter, 2 Tbsp chia seeds, vanilla and sweetener of your choice. Make sure your mixture is sticky, that’s what the sweetener assists with. If it seems a bit dry or too crumbly, the bars won’t stick together and will fall apart so add just a bit more nut butter instead of more sweetener. This will also help the dried fruit you garnish with on top to stick. Remove mixture from food processor bowl and press it into the base of your prepared pan using the back of a spatula or other implement to flatten and smooth it down. You are looking for a bar about ½ inch or so thick. Sprinkle the surface of the mixture with a dried fruit and a scant tablespoon of coconut cranberries and remaining tablespoon of chia seeds, pressing down gently with your fingers and spatula so that they adhere snugly into the surface. For one last time, fold the sides of the parchment or wax paper inward, one at a time, over the mixture and gently press down one last time with your hand on top of the paper. Next place the pan in the fridge and allow the mixture to firm up for about 1 hour or so. You can speed this up a bit by placing in the freezer for about 30 minutes and then pop into the fridge. When you’re ready to slice the bars, gently pull up on the ends of the paper and slip onto a cutting board and cut into squares as desired. I actually cut 12 portions from my 8” x 8” pan (it’s just that Kirsten and Eigo, who came down to see me in It’s a Wonderful Life,” and I each had to sample one before I took the pic! Yes, they are yummy and passed the “Eigo” test! Until ready to eat, store in the fridge in an airtight container. 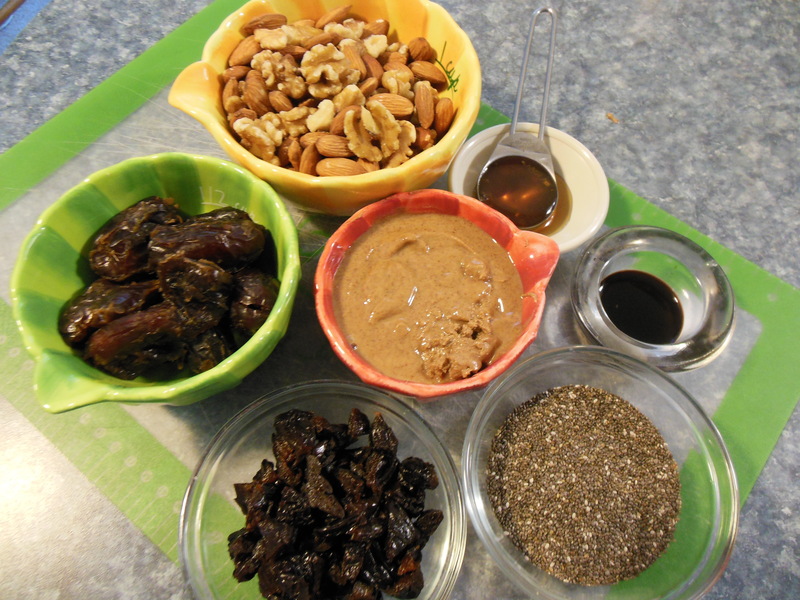 Note: This recipe can be very versatile because you can use any nut of your choice, any nut butter of your choice and any dried fruit of your choice to garnish the top.